The Ruhlman Conference is made possible by the Barbara Peterson Ruhlman Fund for Interdisciplinary Study. The conference is intended to foster collaboration among students and faculty across the disciplines and to enhance the intellectual life of the College. The event will provide an opportunity for students, faculty, staff, friends, family, and alumnae to come together in celebration of student achievement. The Ruhlman Conference celebrates intellectual life by sponsoring a communal, public event where students will have an opportunity to present their work to a wide audience. By providing an opportunity for public presentation of what is often a private, isolated activity; the conference will demonstrate that research can be part of the ongoing conversation in a community of scholars. This year Ruhlman is going green! Use Guidebook to find location, schedules, updates and resources about this year's Ruhlman Conference. 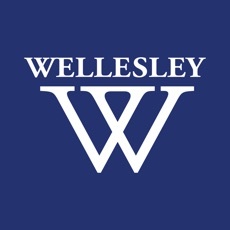 Go to the Ruhlman Guidebook for desktop directly from your computer, or download the Wellesley Guidebook app for your phone. Barbara was born to Thomas and Ethel Peterson in 1932 in Worcester, Massachusetts, and lived there for her first nine years. The family moved to Shaker Heights, Ohio, where Barbara graduated from Laurel School before enrolling at Wellesley in the class of 1954. A psychology major, Barbara lived in Homestead and Severance before spending her junior and senior years in Claflin Hall. Barbara deployed her psychology degree as a hospital social worker before marrying former Air Force lieutenant Jon Ruhlman in 1955. Jon was a graduate of Purdue University with graduate degree from the University of Colorado. Together, Jon and Barbara raised two sons, Robert and Randall, while Jon pursued a career in business. Barbara took on numerous volunteer leadership roles in the arts, education, healthcare, and more in her community. Barbara and Jon avidly pursued their loves of sailing, global travel, and spending time with their two grandchildren together. Sadly, Jon passed away in 2004. 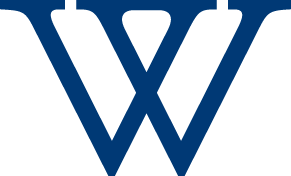 Barbara remains closely connected to Wellesley College through her philanthropy, her volunteer service, and her participation in class reunions. All students may apply to present at the Ruhlman Conference. Attentive to the diversity of student interest and accomplishment, the Ruhlman Conference will include a variety of formats for the presentation of student work: papers, panels, posters, exhibitions, musical and theatrical performances, and readings of original work. All student applicants to Ruhlman must have a Wellesley Ruhlman advisor to review your abstract and/or poster to help you prepare for your presentation. Who should you choose to serve in this role? The best choice is often someone familiar with your research project, your interests and your goals. Ask a faculty or staff member who is aware of your experience and can offer you time and support. What was the focus of your research or project? What did this experience teach? How does this experience relate to your past or future academic, social and/or professional goals? What do you hope those who attend your presentation will learn? All Ruhlman participants are eligible to enter the The Jacqueline Fowler ’49 Public Speaking Prize. The competition will take place in two rounds. In the first round, participants will submit a 3-minute video presentation of an abstract of their Ruhlman project, intended for an interested non-expert audience. To submit your videos fill out the Fowler Public Speaking Video Submission Form. Videos are due by February 20, 2019. The judging of the final round will be based on the finalists' actual Ruhlman presentations, which will be designated in the program and scheduled so that the judges can attend all of them. The winner will be announced and the prize will be awarded at the reception at the end of the day. Applications are due March 20, 2019, to apply complete the Ruhlman Poster Submission Form. A poster application may be submitted if a student is doing an independent study or a project in one of their courses in the spring semester and would like to present on their original work. Sometimes two students may choose to present a single poster together. Presenters remain with their posters during their scheduled session (1:00 to 2:40 p.m.in Tishman Commons) in order to help visitors understand the visually presented material. Posters (4’ x 4’) should be set up in Tishman Commons by 9:00 a.m. and removed by 4:00 p.m. the day of the conference. Important Note: Due to scheduling constraints, students may take part in a maximum of one primary/individual presentation, one class/group presentation, and one poster presentation. Talk (15 minute presentation with a 2 minute Q & A.) An individual student gives an oral presentation about some original research she has conducted. Two students may choose to present a single talk together, splitting the 15 minute time slot. Please note the committee will schedule all 15-minute "Talks" with related types of presentations to create a panel with a connected theme. Short Performance (15 minute presentation.) An individual or group of students presents a short musical or theatrical piece. Film Screening (15 minute presentation with a 2 minute Q & A.) An individual or group of students presents an original film or video. Literary Reading (15 minute presentation with a 2 minute Q & A.) An individual student reads an original text, typically a series of poems or part of a short story. Pre-formed Panel Discussion (60-minute group presentation ending with a 10 minute Q & A.) A minimum of 3 students and maximum of 12 students apply together to discuss the same topic. Participants are either members of a class or have joined together to prepare material that will last for an entire 60 minutes. Please make sure only one member in the group fills out the application to prevent duplication. Exhibition (70 minutes) an individual student presents original artwork in the form of drawings, paintings, sculpture, photos, etc. Presenters remain with their exhibits during the scheduled 70-minute session in order to help visitors understand the visually presented material. Exhibits also remain up for the entire conference and can be visited even when the presenters are not there. On Location Presentation (60 minutes with a 10 minute Q & A) an individual student or group of students prepares a presentation that involves bringing the audience to a site on campus. For example, environmental studies students might prepare a presentation to be given at an ecological site, or architecture students might prepare a presentation to be given on a walk around the campus. Rain date contingency plans should also be made. Interactive Teaching Presentation (60 minutes with a 10 minute Q & A.) An individual student or group of students prepares a presentation that is designed to teach the audience about a subject using interactive techniques that require audience participation. Long Performance (60 minutes with a 10 minute Q & A.) A group of students presents a musical or theatrical piece. The best presentations have a clear focus and an obvious sense of purpose, as well as substantive content. Provide framing. Be sure to begin by briefly orienting your listener to the project and your role in it. What is the most significant aspect of this project that you want to convey? What was the most surprising and unexpected aspect of the work you did? How did your perceptions of the field, work, topic, or people shift as a result of your experience? What did you learn about your field? Plan to use your presentation to further your own learning. What do you want to record and remember about this experience? What do you want to be sure you don’t forget? What about your own learning will be meaningful to others? Attend the public speaking workshop offered by the PLTC for help planning and practicing your presentation. Time your practice session. Each session is 70 minutes in length. If you are part of panel, please time your presentation so that all panelists have equal opportunity to speak. Individual presentations are 15 minutes each (Note: shared “Talks” presentations split this time slot). Check out the room beforehand, and give yourself hands-on practice with any A-V equipment you plan to use. Email ruhlman@wellesley.edu ahead of time for any special technology needs. Plan ample time to work with your advisor and your fellow panel presenters. Ruhlman advisors support students as they prepare their presentations and posters. Every student applicant to the Ruhlman Conference is asked to identify a faculty or staff member to perform this role. Advisors review and approve abstracts, help students to plan their presentations, and may ask the student to present a “dress rehearsal” of their Ruhlman presentation, allowing for feedback and guidance on substance, structure and presentation style. The advisor can provide advice on the content of the presentation and offer suggestions for making the presentation engaging and effective. Students can benefit a great deal from advisor advice on how much material to present; what to focus on; how to make use of visuals and PowerPoint slides; and how to deliver their presentation. Ruhlman advisors are also important audience members on the day of the Ruhlman Conference.